It has been a few weeks since our last edition of "This Week in SigEp Patriots History" and we believe it is very important to cover the events throughout the years that took place this particular week. 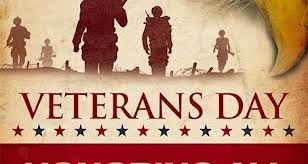 Happy (belated) Veterans’ Day to all SigEp Patriots and their relatives who serve/served! It is believed that the U.S. Army Rangers were the first to have “leave no man behind” as a motto and part of their belief system. The SigEp Patriots Project (SPP) believes that to be so of all brothers, but especially true that we never leave a military brother behind – especially by forgetting about him. With that in mind, last Saturday SPP held its first Veterans’ Day Observance event at Arlington National Cemetery (ANC) to show our respect and honor the 35 SigEp Patriots known to be buried there. A single red rose was placed at the gravesite of each brother. As you can see from the photo of most of the participants, the event was a great success. SPP would like to thank the undergraduate brothers from MD Beta, DC Gamma and DC Delta, as well as the alums and their friends living in the area, for being involved in this important event. Leroy Marshall Burkholder was initiated as a SigEp at the PA Eta chapter on this date. Brother Burkholder graduated from Penn State in 1930, joined the U.S. Army within a year of the attack on Pearl Harbor, graduated from OCS early in 1943, and earned at least the rank of First Lieutenant upon his honorable discharged at the conclusion of WWII. On this date, U.S. Army World War II Veteran and NC Epsilon Brother Charles Walker Sample participated in the initial landings of American troops in North Africa. On this date, World War II Veteran and IN Alpha Brother Second Lieutenant Clarence Cleveland Roudebush, Jr., U.S. Army made the ultimate sacrifice when he was killed in action. Clarence and other members of the 60th Troop Division where aboard a mission aircraft when it was shot down near Pescara, Italy. After being temporarily interred in Europe, Clarence was repatriated in Spring 1949. Respect can be paid to Brother Roudebush at Glen Haven Cemetery, Harrison, OH. 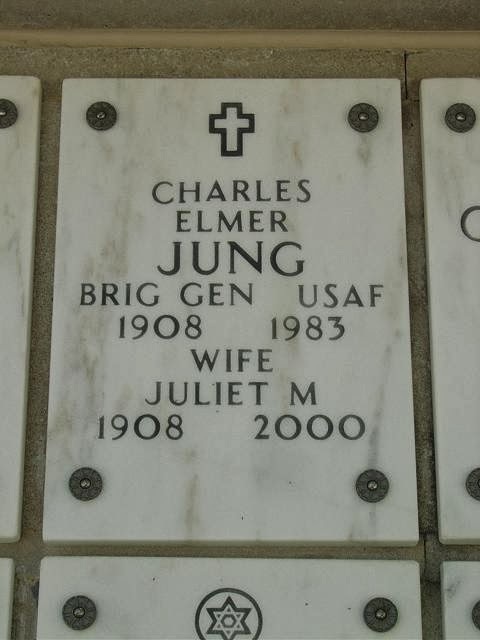 World War II Veteran of the Africa and Italy Campaigns and MD Alpha Brother Charles Elmer Jung was promoted to his final rank of Brigadier General in the U.S. Air Force on this date. Buried at ANC, the undergraduate brothers from one of the Washington, DC area chapters laid a red rose at his gravesite and paid their respect in observance of Veterans’ Day. On this date, U.S. Army World War II Veteran VA Zeta Brother J. Robert Massie, Jr. died on this date in Everglades, Florida after suffering a heart attack. MT Alpha Brother Benjamin B. Briscoe, III died on this date. Brother Briscoe was a ROTC Cadet and member of the Class of 1970 at University of Montana when he died as a result of injuries suffered in a three-car highway accident. In addition to ROTC, Brother Briscoe was student body president, chairman of the Leadership Camp, and a participant in the Vietnam Moratorium and 19-year-old vote committees. Ben and a friend were involved in the car accident they were returning from the state capitol at Helena where they campaigned at the State Democratic Convention to gain support for lowering the voting age to 19. Respect can be paid to Brother Briscoe at Highland Cemetery in Great Falls, MT. U.S. Marine Corps Veteran NE Beta Brother Mark Alan Hurtz died on this date in Flagstaff, Arizona. On this date, U.S. Navy World War II Veteran FL Alpha Brother Byrd C. Fryer, Jr. died in Gainesville, Florida. A year after graduating from the University of Florida, Byrd was commissioned as an Internal Revenue Agent. He worked for the IRS in Jacksonville, FL until his retirement in 1974 – his work only interrupted by his service in the Pacific Theater with the Navy during WWII. After the war, he served as an officer in the Navy Reserve. World War II & Korean War Veteran, CO Delta Brother Lieutenant Colonel Evans “Ev” Ferris, U.S. Air Force died on this date in Santa Barbara, California. During WWII, Ev flew C-87s on cargo duty between India and China, and after the war he worked as an airline pilot for Continental Airlines. Brother Ferris was a graduate of the Class of 1938 at Colorado School of Mines, where he graduated with a degree in mining engineering. While we know he flew for Continental for 32 years before retiring, we do not have any details about his Korea War service during that same time. Upon his retirement, Ev and his wife moved to Santa Barbara where he loved to play golf. In 1981 and 1982, he was the president of the board of directors of the La Cumbre Country Club. Respect can be paid to Brother Ferris at Ulysses Cemetery in Ulysses, KS. OR Beta Brother Lieutenant Colonel/Doctor John “Mike” Talbot, U.S. Air Force died unexpectedly on this date of a cerebral hemorrhage. A 1958 graduate of the University of Oregon, Brother Talbot subsequently began his attendance of the University’s Medical School before joining the U.S. Air Force. After medical School, Mike served in Germany and San Antonio, and resigned his commission in 1974 to go in to private practice in Michigan. In 1980, Mike moved his family back to Portland where he served on the faculty of the Oregon Health and Sciences University (OHSU). He retired after 20 years of teaching, and in 2001 was named professor emeritus of otolaryngology, head and neck surgery and diagnostic radiology from OHSU. He received the Meritorious Achievement Award in May 2001. OR Beta brothers may see Brother Talbot’s name around campus due to his achievements. Respect can be paid to Brother Talbot at Skyline Memorial Gardens in Portland. U.S. Navy World War II Veteran and U.S. Air Force Reserve Veteran VA Zeta Brother Lawrence “Sweeney” Shiflett died on this date. Sweeney served in the U.S. Navy during World War II, and after his discharge he attended Randolph Macon College, became a SigEp, and joined the U.S. Air Force Reserve where he served for 28 years. Respect can be paid to Brother Shiflett at Prospect Hill Cemetery in Front Royal, VA.
U.S. Army World War II Veteran and TN Alpha Brother Raymond Marshall Hair, Sr. died on this date in Lenoir, Tennessee. After graduating from high school in 1941, he enrolled at the University of Tennessee in Knoxville as a ROTC Cadet and business student. His student deferment at UT was cancelled after the U.S. declared war on the Axis Powers and he was inducted into the U.S. Army in 1942. Raymond served as a member in the 1111th Army Engineer Combat Group, landing with his company on Utah beach in JUN 1944 during the second wave of the Normandy invasion. He fought through France, Belgium and into Germany, participating in every major allied battle in the European Theater. 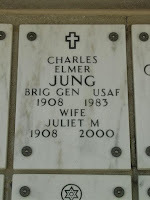 His unit liberated the Nazi concentration camp at Bergen-Belsen, Germany. After the war's end, he continued his college education in France, returning to the U.S. in 1946. Respect can be paid to Brother Hair at Lakeview Mausoleum in Lenoir. U.S. Army Veteran TX Alpha President Mervin Bernard Cook died on this date. Merv served in the Army from 1956 to 1959. After graduating from high school in San Antonio in 1953, he began his study of music at the University of Texas on a full voice scholarship, and was a member of the 1954 Sigma Phi Epsilon pledge class at UT. In 1959 Merv returned to UT to get his B.A. in business and was elected president of TX Alpha. After graduation, Brother Cook was in management with the Farmers Insurance Group regional office and the Austin Women's Club. Merv’s wife and a friend established Mother Hubbard's Cupboard Catering, and when Merv retired, he became Mother Hubbard. In 2004, Merv retired again and moved to Lake McQueeney in Seguin, TX. IN Beta Brother First Lieutenant Robert Donnell Arnold, U.S. Army died on this date in Indianapolis, Indiana. Respect can be paid to Brother Arnold at Crown Hill Cemetery, Indianapolis. Brother Medlock was buried at sea. U.S. Army World War II Veteran TX Alpha Brother Robert Eugene Brown died on this date. Respect can be paid to Brother Brown at Austin Memorial Park in Austin, TX. Korean War Veteran and IN Gamma Brother Airman First Class Leland “Duke Wolfe, U.S. Air Force died on this date in Granger, Indiana. After graduating from high school, Duke entered the Air Force, and served as jet engine mechanic and instructor in Japan during the Korean War. Brother Wolfe earned his teaching degree and Master's from Ball State, and was an active member of the IN Gamma chapter. He taught his entire career of 32 years at Penn High School. Many young people learned how to work on cars and build houses from Duke. He and a good friend also earned the Meritorious Teacher Award from the State of Indiana for their creation of the highly successful Penn High Building Trades Program. With the guidance of local professionals in the trades, Brother Wolfe's students completed and sold 22 homes from 1969-1991.